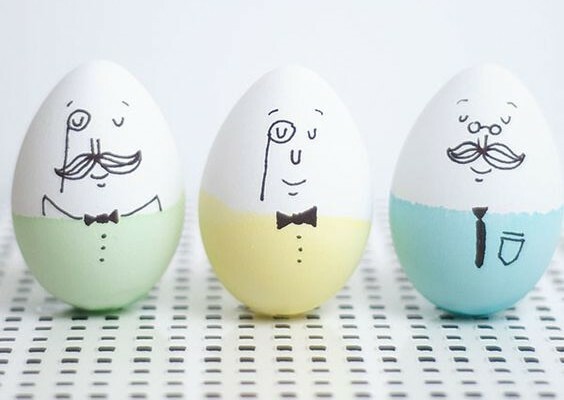 We love ALL holidays and special occasions here at Beau-coup, but Easter has special significance to us. Why? Because of the Beau-coup Bunnies, of course! This Easter, we brought in our favorite fuzzballs and took time to pose for pictures with them. These guys are pretty energetic, but we managed to get some great pictures with them in and around the office, and on a cute little tree stump in our photo studio. They even posed nicely with our Creative Director, Winnie (left) and one of our Tech Gurus, Rahul (right). Eventually the bunnies got tired and we had to let them get some rest. But that is when the fun really started – each member of the Beau-coup family got a cute little Easter basket! 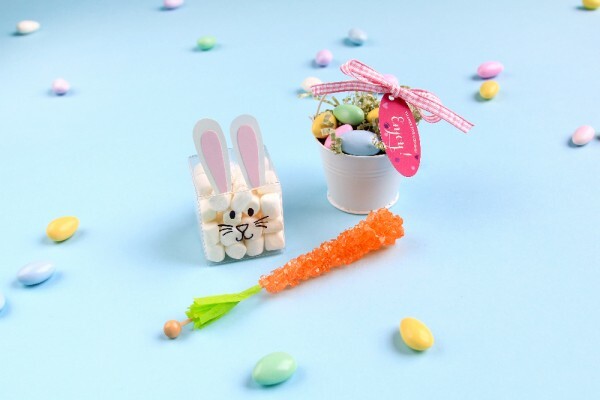 Each basket was filled with colorful Easter grass and a variety of chocolates and jelly beans in a carrot-shaped container. And no Easter basket would be complete without a bunny Peep! All in all, our Easter was pretty amazing. How about you? What did you do to celebrate? Tell us in the comments below!